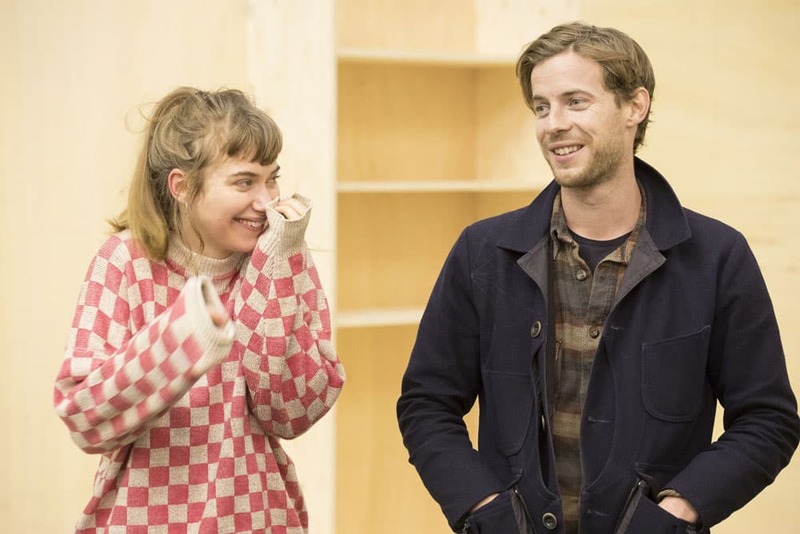 We are pleased to bring you some great first look rehearsal photos by Johan Persson for the new West End production of Edward Albee’s classic American drama Who’s Afraid Of Virginia Woolfe which opens at the Harold Pinter Theatre for a limited 13 week season from 22 February 2017. 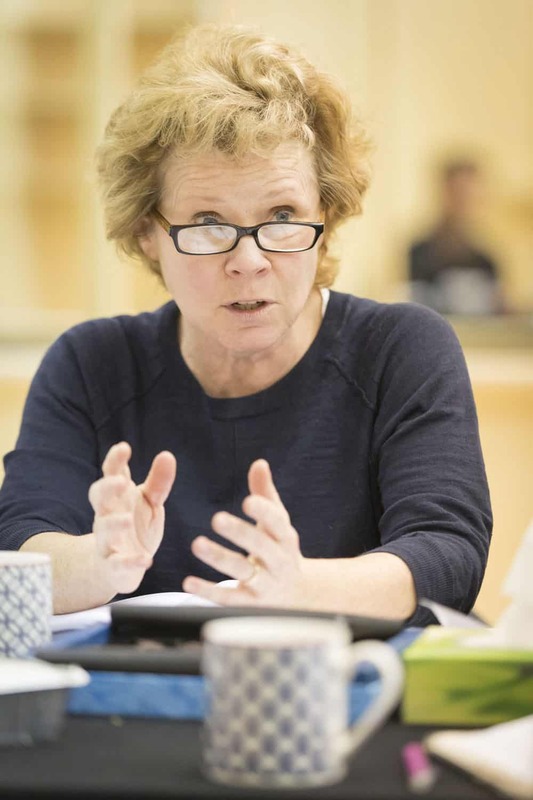 This will be the first production of the play since Albee’s death last September. 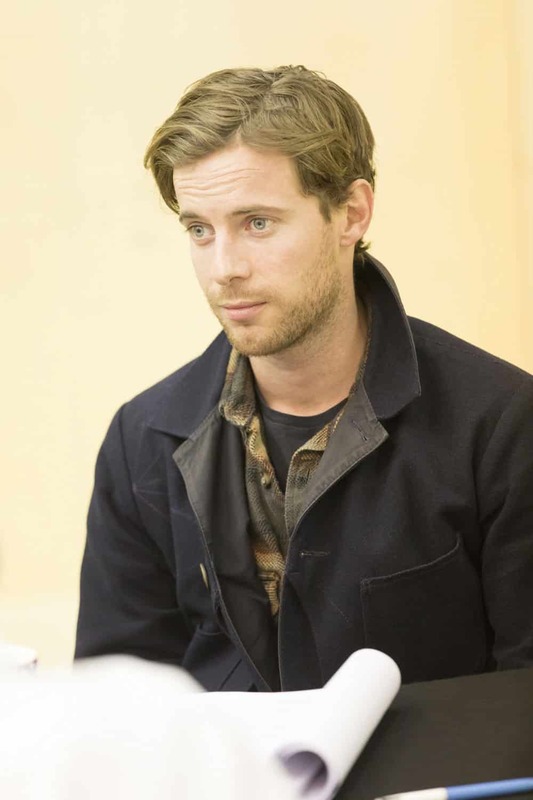 The play will be directed by James Macdonald and stars Imelda Staunton as Martha, Conleth Hill as George, Imogen Poots as Honey and Luke Treadaway as Nick. Made into a classic film by Mike Nichols starring Richard Burton and Elizabeth Taylor, Who’s Afraid Of Virginia Woolf is a rollercoaster ride through a dysfunctional relationship. In the early hours of the morning on the campus of an American college, Martha, much to her husband George’s displeasure, has invited the new professor Nick and his wife Honey to their home for some after-party drinks. As the alcohol flows and dawn approaches, the young couple are drawn into George and Martha’s toxic games until the evening reaches its climax in a moment of devastating truth-telling. 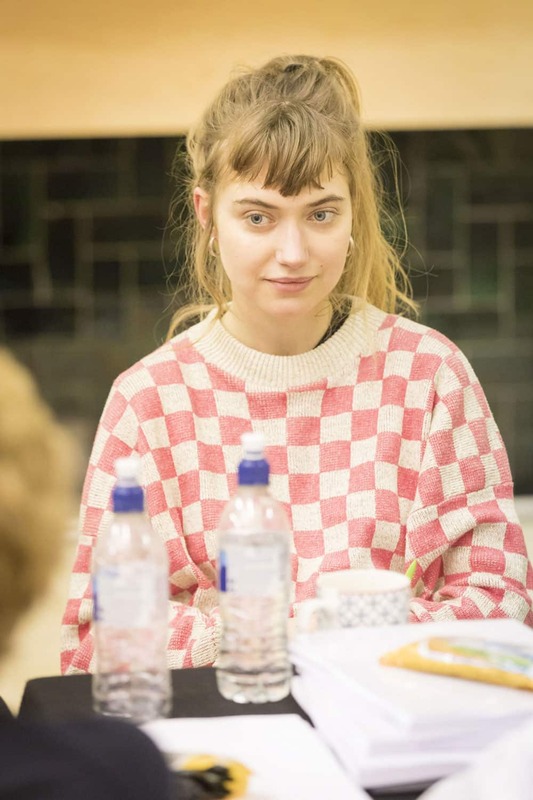 Who’s Afraid Of Virginia Woolf is designed by Tom Pye, lighting design by Charles Balfour, with sound design and music composed by Adam Cork. 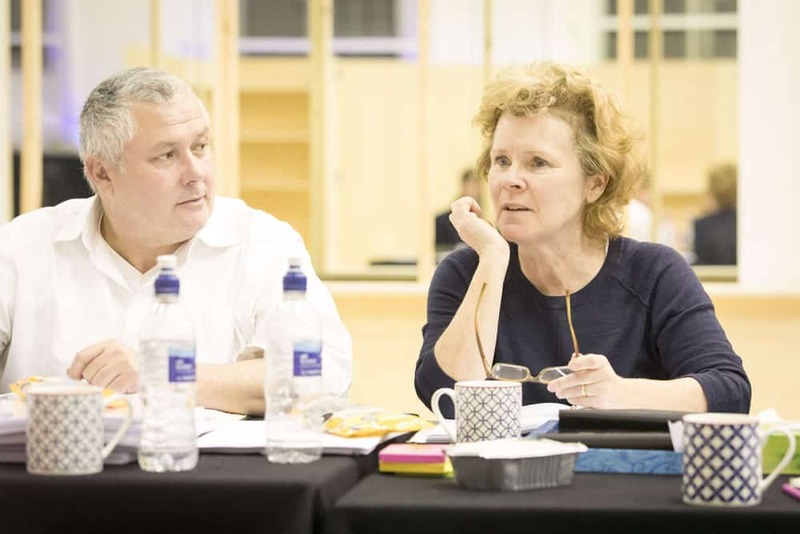 Conleith Hill and Imelda Staunton in rehearsals.